I’m a print addict, if you open my wardrobe a giant mess of florals, abstract, subtle stripes and nature inspired prints is guaranteed to fall on top of you (too many clothes, too little space). 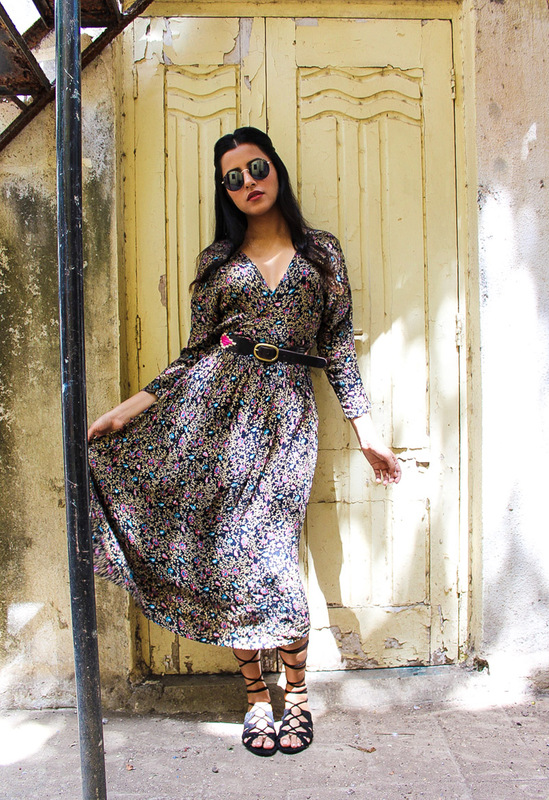 And pairing prints with boho silhouettes? I’m sold before you say any more. I fell in love with this Billabong boho floral midi dress immediately, I didn’t even try it on before buying it because I started swooning while it was still on the hanger, and ran to the cash register with the last small size available. It’s made of ultra lightweight cotton fabric with a crossover neckline and a flared skirt, perfect for a casual summer outfit. To cinch the waist and add another interesting layer of texture & colour, I added a leather belt with woven pink & beige accents from Hollister. Lace up strappy flats from Mango & round lennon-esque sunnies from Forever21 complete my look. Hair was parted in the centre to channel my favourite style era, the 70’s (someone please send me back). I love 70’s boho inspired clothing and find myself naturally gravitating towards easy cuts, dreamy fabrics, and as always a little bit of that flower power styling. 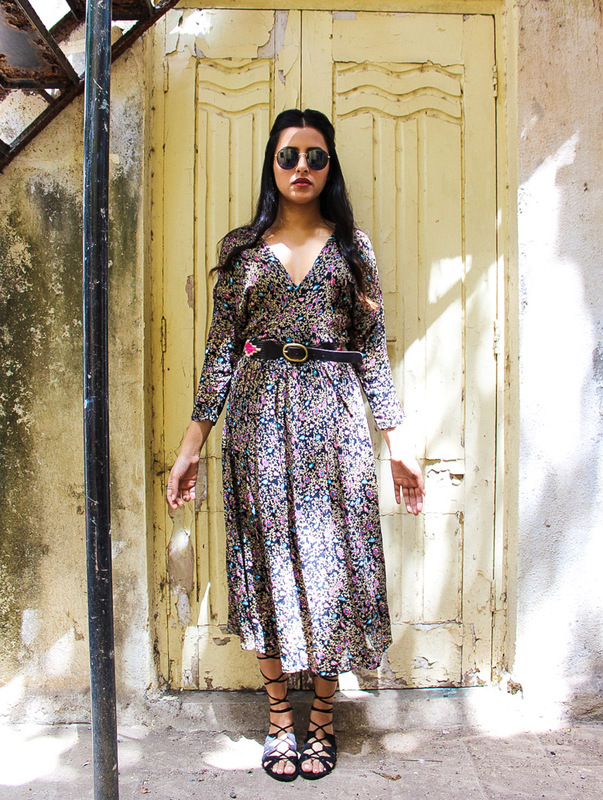 To achieve this look, simply pair a midi length floral dress with a dark brown belt, criss-cross shoes & circular frames!